I've got an action packed few days ahead of me. Tomorrow I'm flying down to Melbourne (such the jet setter) to help out at the last Magnolia Square market of the year. 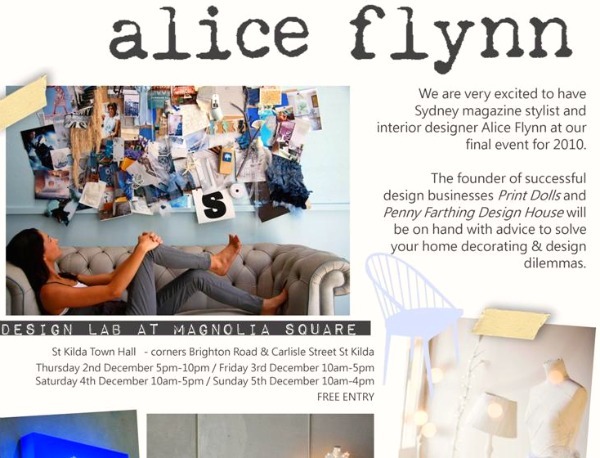 I'm looking forward to seeing Alice Flynn's Design Lab and stocking up on some Christmas presents (for myself perhaps?) If you happen to be near the St. Kilda Town Hall then make sure to stop by and say hello! how cool that you're going to melbourne to help out! sounds like a really great opportunity has come up for you. Oh, we are going to the Magnolia market, it is right near our place. I will be sure to say hello! I hope you have the best time ... and bring lots of cash - there are always so many beautiful things!! I am really hoping to make it to the market on Sunday! I'm so far behind in my Christmas shopping, it is just what I need! You never know, might see you there! Darling, giving to yourself is like loving yourself. and you know what they say, if you can't love yourself, then how can you expect anyone else to love you.. hahahahaha. I'm seriously demented! Wish I could be there for this. Bugger. I missed you! Was there on Thurs night. 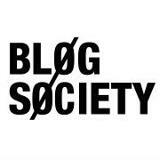 Maybe will pop in tomo, would love to meet you!